This is state of the art technology for loudspeakers. The Heco Concerto Grosso combines everything which is possible in building a loudspeaker. The result: high end speakers which do not only impress by their weight of more than 60 kg each. It starts with the tweeter which is able to deliver frequencies up to 53 kHz via its fiberglass compound membrane, goes over the midrange chassis loaded with an extremely powerful AlNiCo magnet up to the 300 mm large subwoofer plus bass radiator which is located at the side. Together, they can play frequencies down to 16 Hz. This is made possible by the extremely selected and perfectly well combined materials from the massive terminal clamp over the frequency crossover (which has been combined of extremely narrowly tolerated parts) to the chassis made of exclusive materials such as a paper-wool combination. All this is located in a casing which is slightly reclined, massively and elaborately manufactured casing. 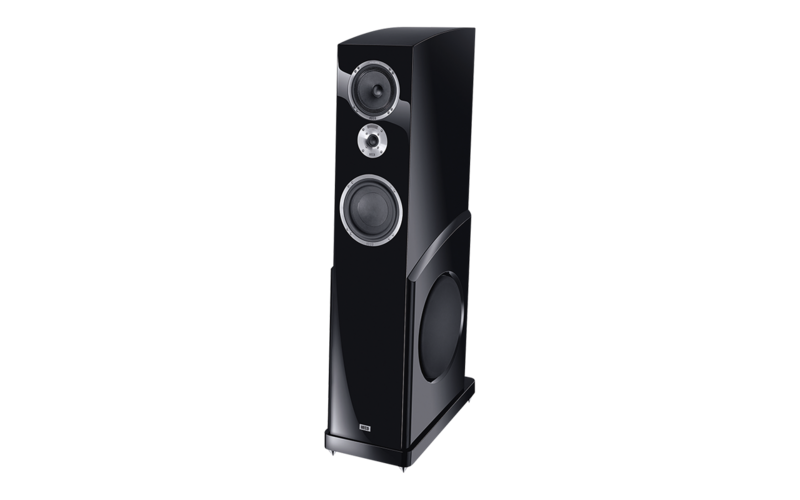 There is no room for any doubt about the sound quality of the speaker – even from the design perspective.